Robert Downey Jr Acquires, May Star in "Emergency: This Book Will Save Your Life"
He's not exactly hurting for work, but Robert Downey Jr. has bought the film rights to a modern-day survivalist manifesto, and is considering taking the starring role. Downey will be bringing to the big screen Neil Strauss' "Emergency: This Book Will Save Your Life," a non-fiction account of the author's attempt to "worked toward becoming as self-sufficient, independent, skilled, and experienced as I could." Throughout the book Strauss learns to use firearms, establish a secondary citizenship and learns wilderness survival. Downey will co-produce along with his wife Susan ("Sherlock Holmes," "Book of Eli") and Michael DeLuca ("The Social Network"), with a script by Allan Loeb ("Wall Street 2," "Dilemma"). "Neil Strauss is a tremendous talent and we thinkEmergency! is his best work yet," said Columbia Pictures' president Matt Tolmach in a press release announcing the deal. "It’s a hugely entertaining read that couldn't be more timely or topical. We think there is a fantastic film in this book and Robert and Susan, and of course, Mike are the perfect producers to take on the themes of this project." The book opens with Strauss ominously declaring, "I've started to look at the world through apocalypse eyes," a line so on-point we can already hear Downey saying it in the film. 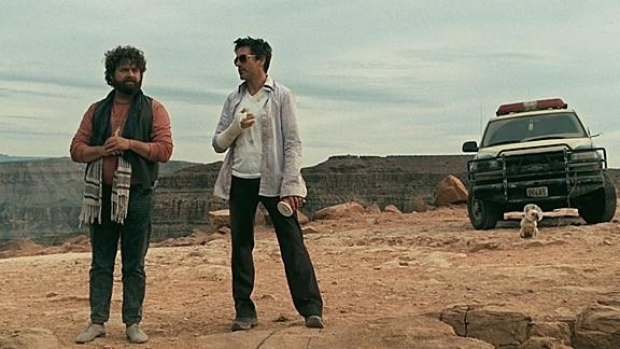 Downey can next be seen in "Due Date" Nov. 5.